Weekly Loadout Submission – Dries of Pencilcaseblog! 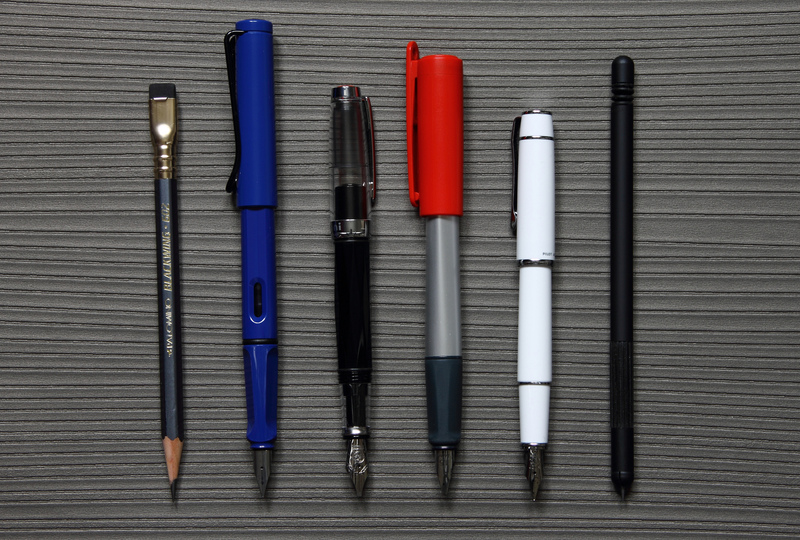 These are the pens I use most of the time. I don’t really use expensive or special pens on daily basis, but opt for a more forgiving, reliable selection. Has recently regained its position in my EDC after being unused for almost a year. I really missed the smooth leads and the great overall quality of this one! Since I bought this pen, it has always been in my rotation. it’s such a great pen, with a great nib and light but durable construction! This is one of those pens that I don’t mind throwing around (not literally)and taking it to school, because I know it won’t be a total disaster if it breaks or gets lost. This one always gets filled with a plain blue or black ink (mostly Lamy bottled ink), so I can use it in school. The Lamy nexx is another great value pen, I don’t like the flashy red cap (I did when I bought it a couple of years ago) but nevertheless this pen always stays inked! Because of the stub nib –which is lovely, though not quite as good as the TWSBI stub – this one also gets used mostly for ink reviews. Currently inked with Montblanc Forest Green ink, a lovely dark green with beautiful shading! 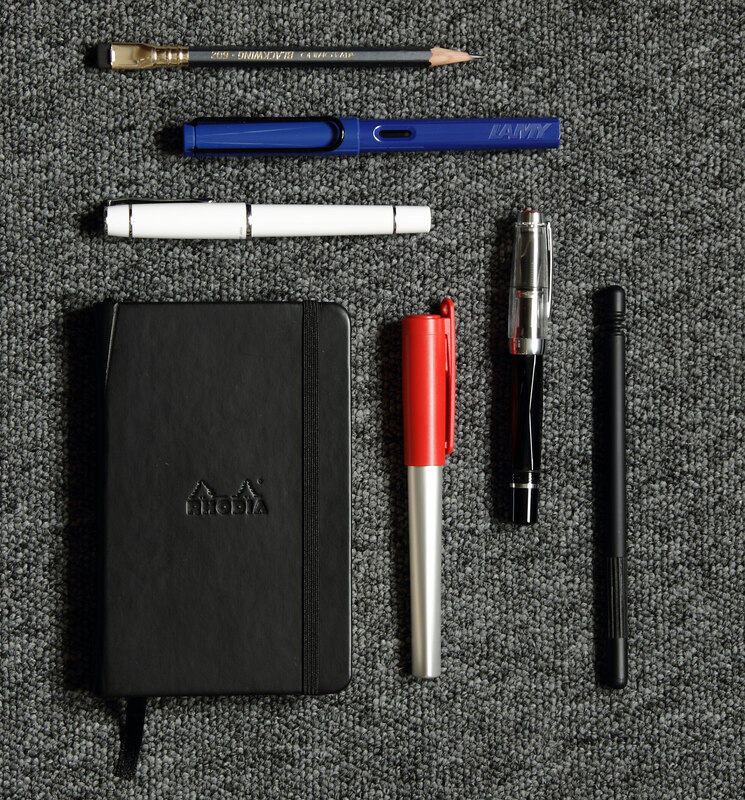 Great writer, pocketable, durable. The converter has a painstakingly low capacity, but apart from that it is great! I always keep it filled with black ink, mostly Lamy, sometimes Kaweco black or J.Herbin Perle Noire, this one – just like the safari – is ready for every task that requires a subtle ink. Since I did the review on the linea, I bought a couple more because they are the sturdiest, most comfortable and best looking leadholder pencils ever. Period. Tell us what your favorite combo(s) were for the week! : TWSBI mini or Pilot Prera, difficult call, but I guess the TWSBI has the edge with the stub nib. Even though the TWSBI is semi-ready for the garbage bin (The cracks are multiplying and the cap doesn’t post anymore) it still remains a great pen! I’ll definitely get a new one the second this one dies! De Atramentis rote rosen with the stub TWSBI is a match made in heaven! The Prera is great too, but with intense use it dares to start leaking from the feed (I don’t know why). Did something just not click? Tell us why! : Tough call, probably the Lamy Nexx. I don’t really like the design, it’s a bit childish and the clip is just plain ugly. The ink is not to blame here, Montblanc Forest green is most definitely my favorite green ink.